In the case interview prep world, Victor Cheng has risen to a household name in the last 5 years, and his book Case Interview Secrets is one of our recommendations for those looking to break in to the industry. A Stanford graduate who worked in consulting during his early career, Victor speaks from his experience as someone who sat on both sides of the interview table. Today, he spends his time advising Inc. 500 CEOs. Namaan, one of our rockstar interns, shares what he thought about this seminal piece of consulting literature after reading it cover-to-cover. Join us today as we pick out the key points of Victor’s book and learn what makes his perspective so unique – and what you might want to watch out for if you incorporate it into your preparation process. This book is a fantastic guide to the case interview process, especially if you are interested in landing a position at McKinsey. If you don’t know already, the case interview process is like no other in the business world, and your academic background alone won’t prepare you for it. It takes focused, specific preparation to ace your case interview. Cheng’s emphasis on quantitative assessments and case interview frameworks is incredibly helpful in preparing for the most rigorous case interviews. 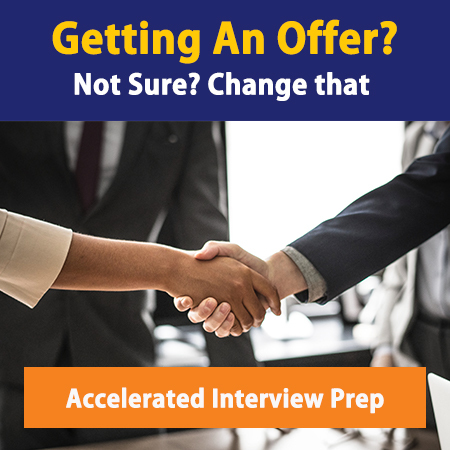 He also goes through different case interview formats, but takes time to largely focus on the traditional candidate-led case interview, which is still prevalent in the industry. Victor’s approach is a very typical McKinsey-centric focus which provides some of the best insights in the biz. If you’re prepping, you should read it. You just have to remember that it doesn’t teach you everything – you can use it as a starting point, but must think your way through the case interview process and should read at least 2 other case prep books to round out your overall understanding before walking in the door of your dream firm. Having the material broken down in these sections will help you break down your preparation into manageable, bite-sized chunks. You’ll also be able to more quickly identify your individual strengths and weaknesses. The material is helpful, but we would recommend you try not to digest this book in one night. Give yourself the time to chew on the concepts, understand them, and most importantly, practice them – read no more than 1 section per day for a total of 1 week, and ideally aim for even slower than that. While Case Interview Secrets is a helpful read for anyone preparing for a case interview, and you should read it, it is admittedly a bit boring. Now, we know that this subject matter isn’t the most exciting in the world, but Cheng’s writing style also isn’t the most enthralling and doesn’t do you any favors as you’re trying to stay engaged reading at midnight. While you may feel that your case interview prep is the most important thing in life, that doesn’t mean that the material you need to succeed can’t be communicated in a more compelling way which will make it easier to retain. We highly recommend this book to our clients who are looking for extra preparation, so our issue is not with the content. We just believe that compelling, conversational writing is easier to remember for the reader – which is why you should mix this up with some other prep materials (see our full recommended reading list for other suggestions). 1. Issue Trees: Cheng’s chapter on issue trees is excellent, and clearly breaks down the differences between a successful and unsuccessful issue tree. Central to his analysis is the incorporation of MECE, meaning the content of each section of your issue tree should be mutually exclusive as well as collectively exhaustive. Don’t think you’ve got a worthy issue tree without implementing the MECE principle in to each of your sections. FYI – we don’t even think issue trees are required like he does, but if you want to use one and find them helpful, this is a good primer. 2. McKinsey PST: While Bain and BCG have moved more toward using problem-solving tests in their interviews in recent years, it was McKinsey that pioneered and developed the PST for the consulting world. A commonly held misconception is that the McKinsey PST tests your business acumen; it doesn’t. The PST is primarily a math test, with a few logic and critical questions thrown in for good measure. The main type of question you will encounter in these tests is a math word-problem, so be sure to practice these! The skills you develop while practicing these word problems will be very useful to you in day-to-day life in business. 3. Flexible Frameworks: Frameworks are meant to be applied flexibly! Many times, interviewees get stuck thinking that they can only tackle a problem with one framework they choose at the very beginning of the process. Not so! Use your first framework to discover as much as you can about the case, and then pivot to another to test your hypothesis or conduct more analysis. You have many tools at your disposal in a case interview; don’t leave some of them unused! Case Interview Secrets is a great resource to help you in your case interview prep process, and one we recommend you take advantage of. It is not the only resource we recommend, but a valuable weapon in your arsenal nonetheless. Make sure you don’t neglect 1:1 practice in favor of just learning concepts; you must practically know how to use them! In addition, don’t forget about fit interview prep (which Cheng does not focus on here). You may be a case interview master, but if the firm doesn’t like you they probably won’t hire you. To get started with your case interview prep, buy Case Interview Secrets here. To get access to more advanced materials on case interviews, check out our Interview Preparation section here. Before you spend dozens of hours prepping for a case interview, make sure you can actually land the interview first! Click here to make sure you have a consulting ready resume and cover letter that will land you interviews.